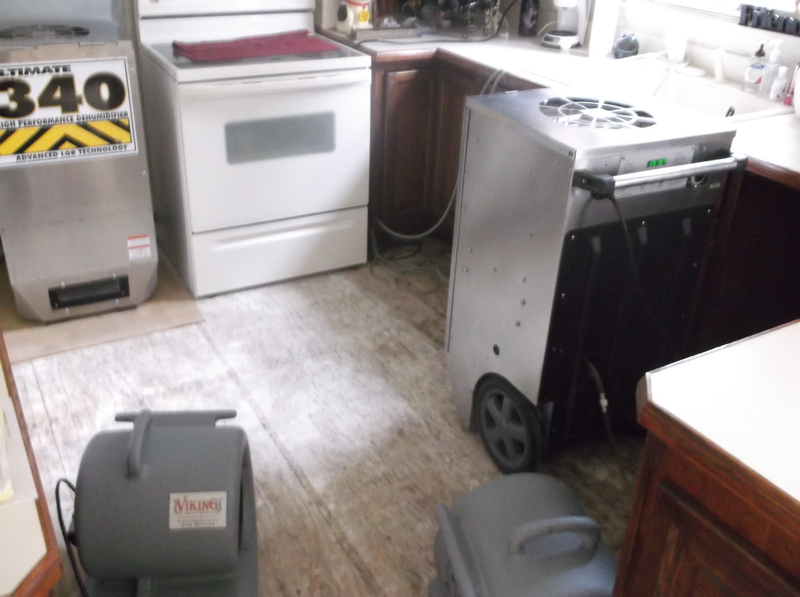 Cleaner & Dryer Restoration serves residential and commercial clients specializing in water and fire clean up and repair, as well as mold remediation, storm damage and construction. 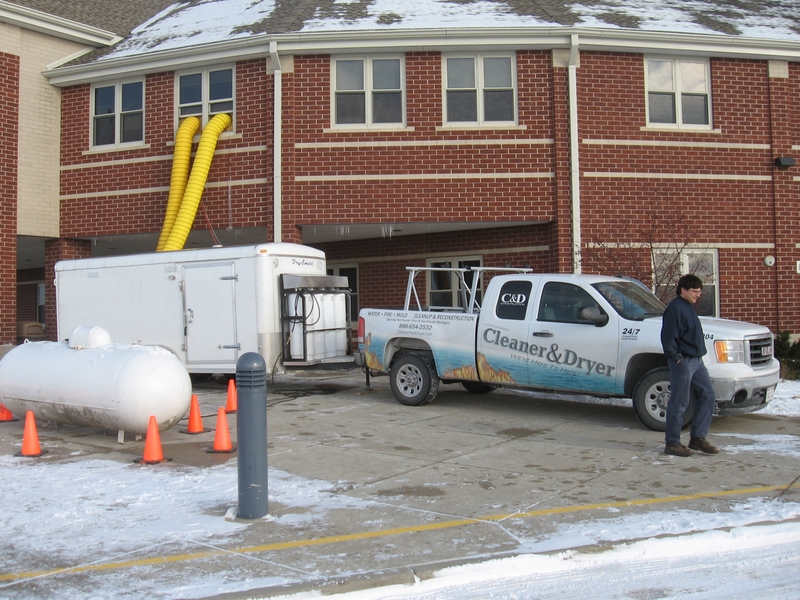 Serving Northwest Ohio and Southeast Michigan, we have unmatched experience, state-of-the-art equipment and a guaranteed quick response time. 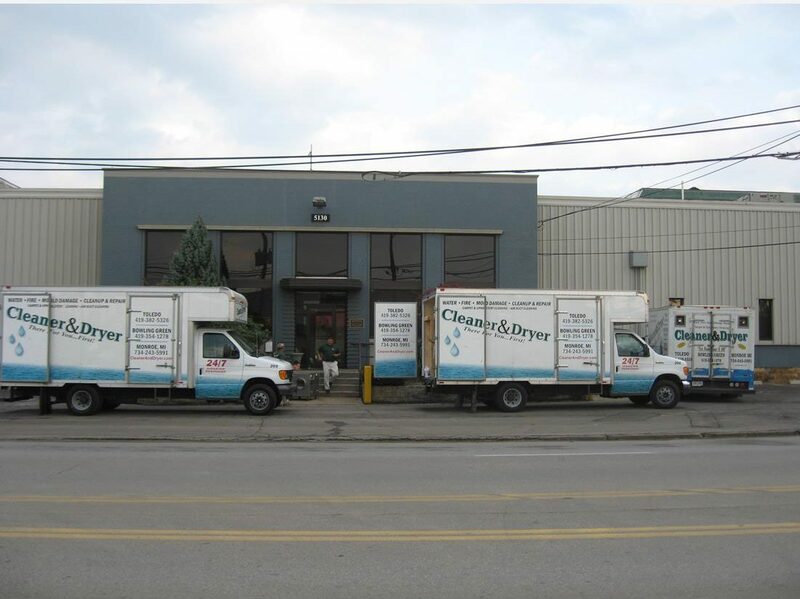 Cleaner & Dryer can restore any size structure, including multi-level commercial buildings, that have experienced damage from fire or water catastrophe. We are available 24/7 and will be at your side within one hour to assist you with a free property damage evaluation. 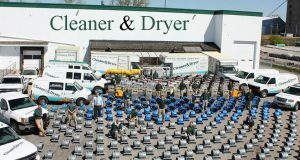 A family-owned and operated business, Cleaner & Dryer was founded in 1992 as a home carpet-cleaning service. The company was an early success and continued to grow and expand into a full-service restoration company. Mold and mildew can grow within 48 hours on carpet, furniture, walls and cabinets in a wet environment. Cleaner & Dryer Restoration is staffed with dedicated, trained technicians, ready to promptly respond to your residential or commercial emergency with a free estimate. Call us today! Cleaner & Dryer Restoration completed one job for me and two for my parents in the Toledo area. The jobs included a flooded basement, water damage in the ceiling, drywall repair and construction, painting and carpet cleaning. I was very impressed with the above and beyond attitude and professionalism with a very competitive price. Highly recommend! Highly recommended restoration company. Had a small fire they arrived within a quick and timely manner. Excellent customer service and knowledge. Quick clean up and replacement of my belongings! Without a doubt any questioned ask, you received a well educated answer. We recently had a water loss. Team was there within an hour. Very friendly, and efficient. Will definitely use again! Cleaner and Dryer has handled multiple jobs for me following storms. The team arrived quickly and were professional and courteous. I would definitely recommend them. We were devastated after a frozen pipe led to a massive flood while we were out of town. I thought we would lose everything, but the women from Cleaner and Dryer were so careful to save everything they could, including some very sentimental items for my children. I really felt like they cared about me and my family and went above and beyond to help. When you suffer fire damage, wind damage or water damage at your home, it is essential you have experts available immediately who you can trust with your possessions, property and home. At Cleaner and Dryer, we are here to help. We know, from our years of experience in fire, water and smoke damage, that there is nothing more important than getting to your home fast and starting work immediately. We are available 24/7 and will be at your side within one hour. Our knowledge can help you in times of need; we come out at NO cost to you and provide a free property damage evaluation. We will assist you with costing and making a decision based on our experience. As a homeowner YOU can choose who you want to do the work and should be well informed before filing an insurance claim. It’s essential you have control of the process, and we can help! Call us today we are here to help. Protecting business property after a fire or water or wind damage is a first priority for Cleaner & Dryer. Our 24/7 Emergency Fire Board Up Service and Emergency Water Extraction Service guarantees that we will be to your business property within one hour and immediately secure it; protecting it from further damage by the elements, vandalism or theft. Structurally, we can identify weaknesses and offer evaluation for rebuilding your business to its previous condition. Our skilled technicians have years of experience with fire, water and wind damage to property and can give you recommendations and guidance. Cleaner & Dryer will provide emergency water extraction, document drying, odor removal, deodorization, and content cleaning. We at Cleaner & Dryer understand the importance of getting your business back up and running as quickly as possible following a catastrophe. With over 20 years in the industry our training and operating procedures are designed to get you open as quickly as possible. Don’t let industrial property damage from fire, wind or water shut down your facility, it is essential that you minimize downtime and protect your processes. Cleaner & Dryer will immediately respond and secure your industrial property, evaluate the situation and determine a plan of action. We handle each step; from securing and cleanup, to moving equipment to a new location and getting your industrial plant back on line. Cleaner & Dryer has expert leaders in the industry who have years of industrial experience with plant relocations, equipment installments, transporting, packaging, and structural and mechanical rebuilds, setting us apart from other, less qualified companies. We know that your production is the key to your company’s success. Don’t waste any time when fire, wind or water damage happens. Call Cleaner & Dryer, our industrial experience and knowledge will get you back on track. Cleaner & Dryer Restoration serves residential and commercial clients specializing in water and fire clean up and repair. 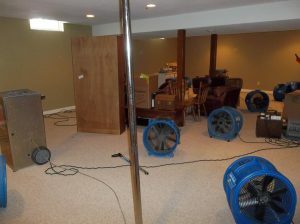 Additional services include mold remediation, storm damage, roofing, construction, lead abatement and biohazard cleanup. Northwest Ohio: Allen, Defiance, Erie, Fulton, Hancock, Henry, Huron, Lucas, Ottawa, Paulding, Putnam, Ottawa, Sandusky, Seneca, Van Wert, Williams, Wood, Wyandot. Southeast Michigan: Hillsdale, Jackson, Lenawee, Livingston, Macomb, Monroe, Oakland, Washtenaw, Wayne.